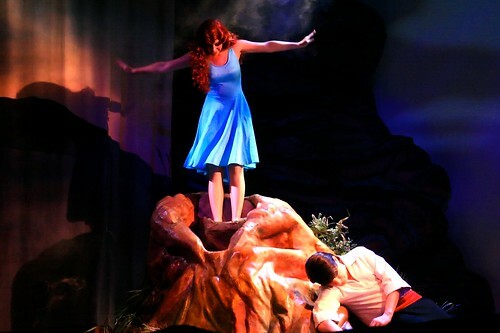 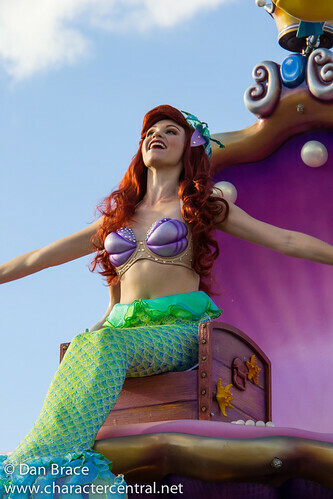 Ariel is the mermaid princess who longs for a different life, on the shore with humans. 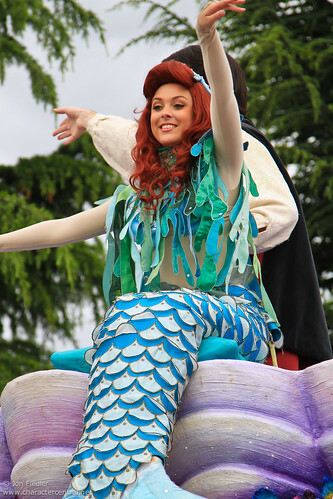 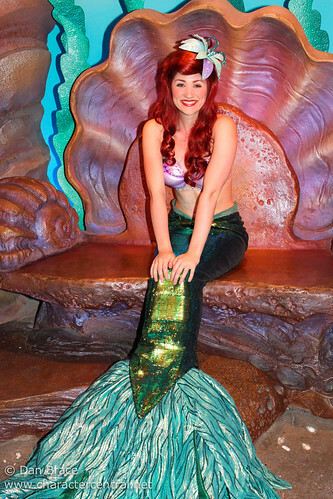 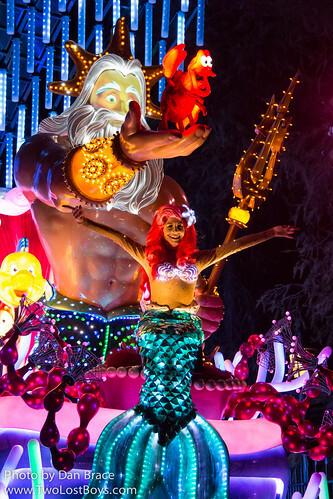 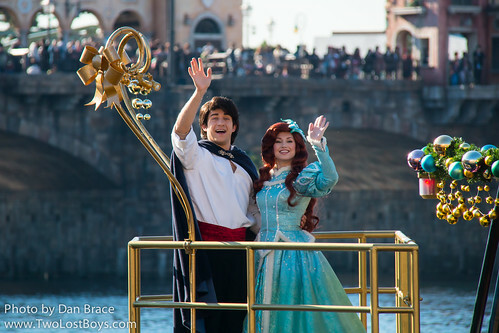 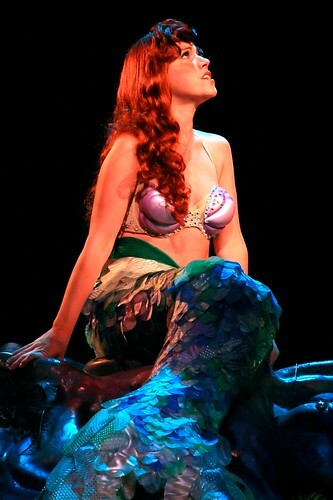 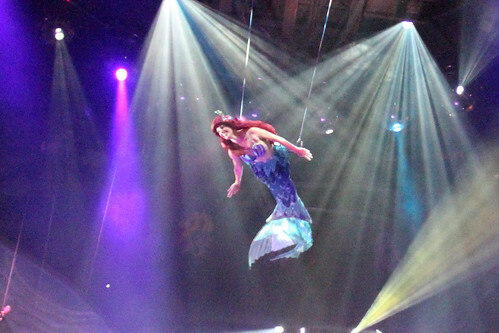 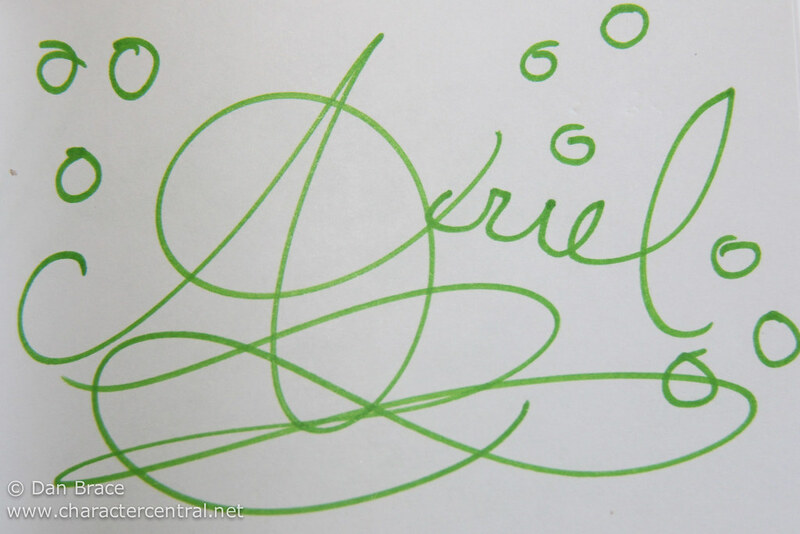 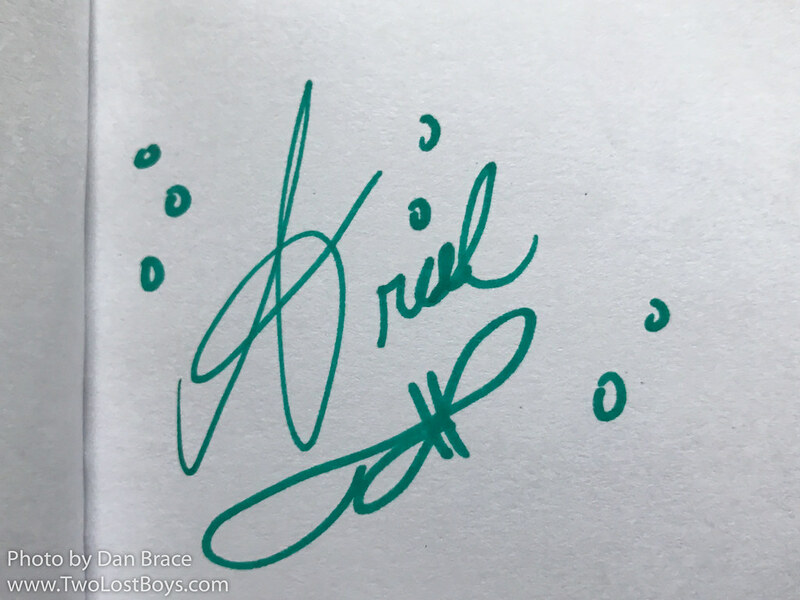 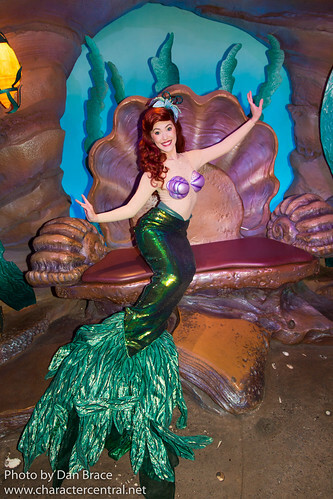 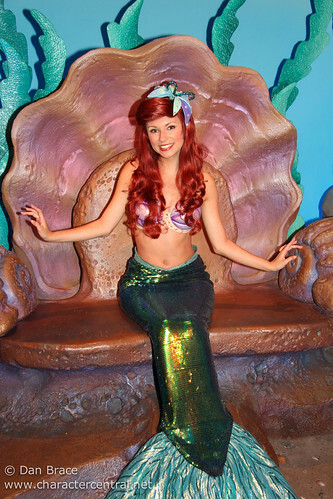 Everything about the human world fascinates Ariel, from dinglehoppers to whatsits! 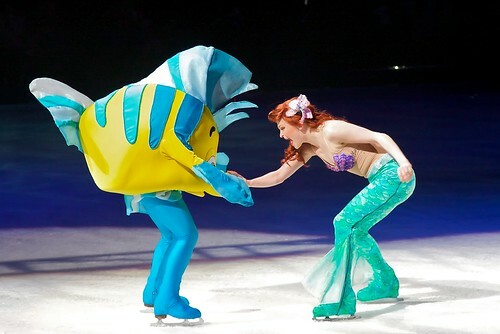 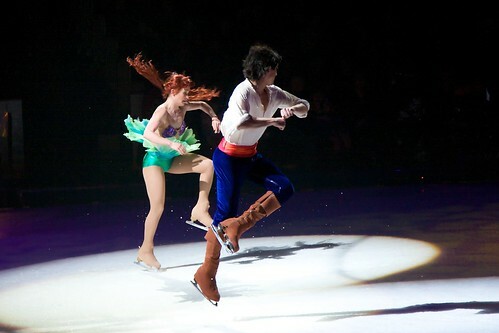 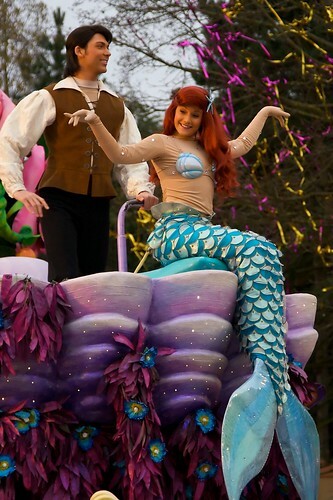 But the thing Ariel wants the most is to be noticed by the dashing young Danish Prince Eric. 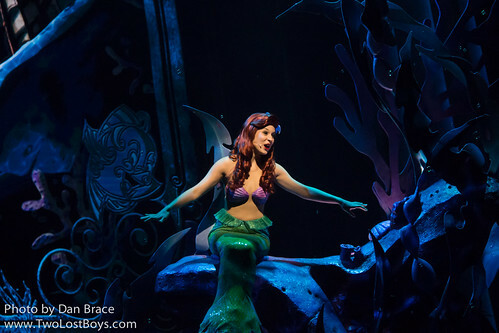 Ariel makes a makes a deal with the sea witch Ursula, and is given the gift of legs - at the price of loosing her voice. 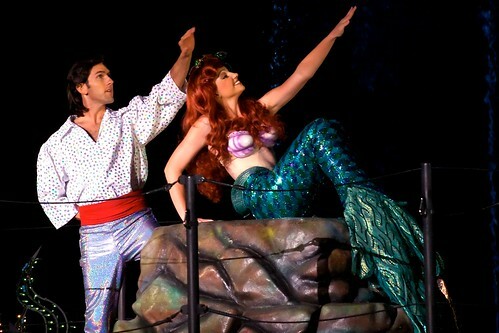 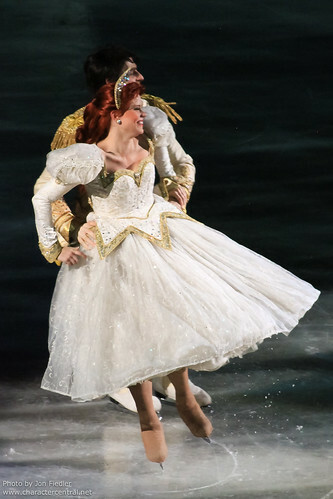 Ariel and Eric fall in love, and ultimately it is that love that, despite his objections, encourages King Triton to defend his daughter and defeat the wicked Ursula. 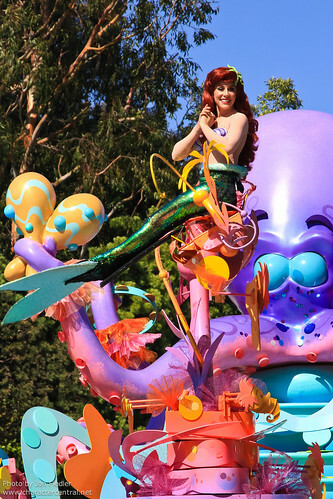 Ariel and Eric live happily on land now with their daughter Melody, but Ariel checks back from time to time on her friends and family under the sea. 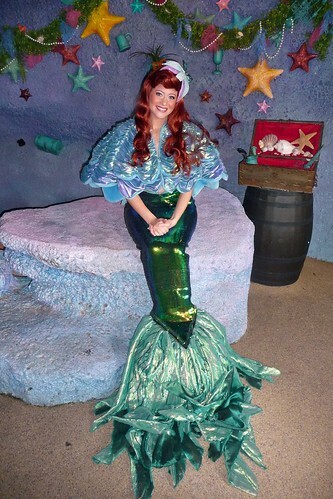 At the Walt Disney World Resort Ariel can be found at her Grotto in Fantasyland. 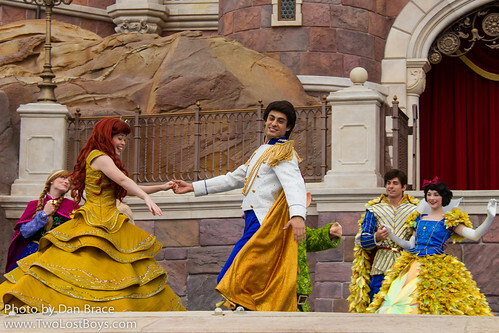 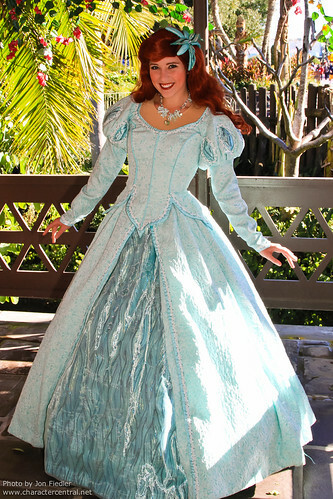 She can also usually be met at the Akershus Restaurant in Norway at EPCOT, and at Trattoria al Forno on the Boardwalk. 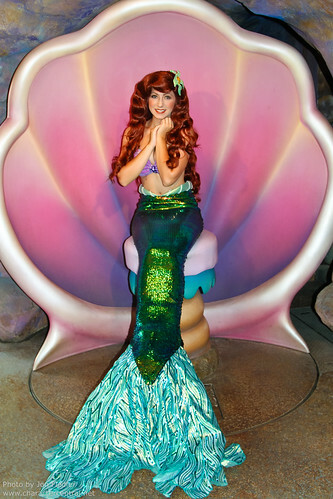 In Disneyland Ariel is often at the Royal Hall in Fantasyland, and at her Ariel's Grotto Character meal in DCA. 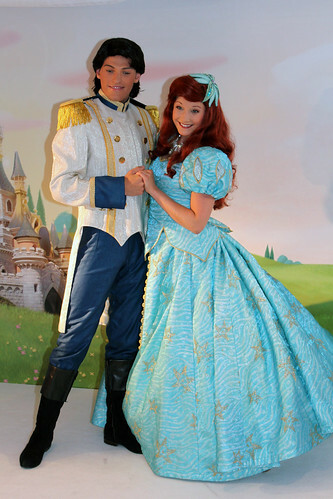 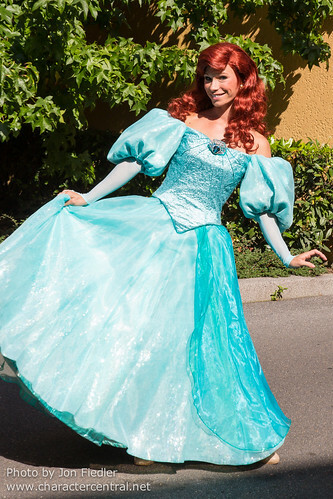 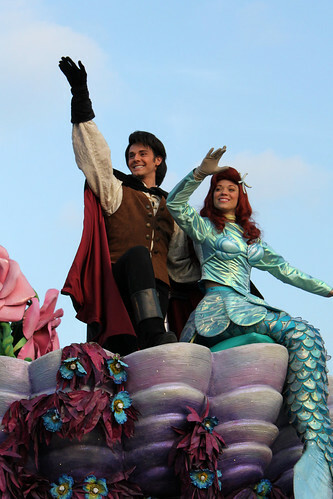 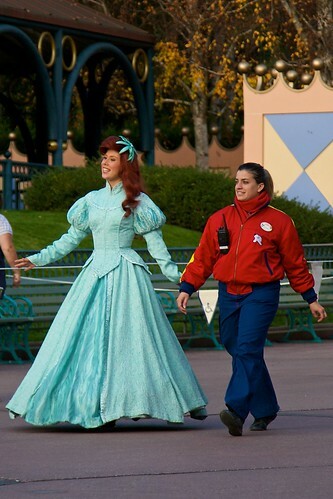 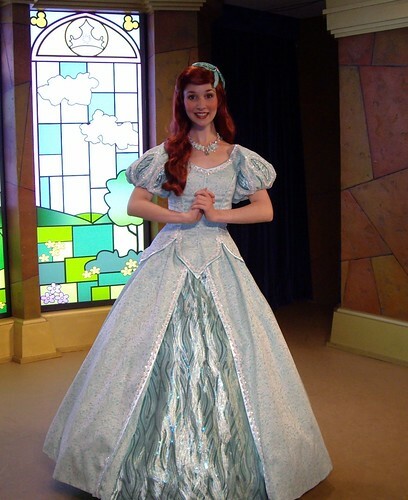 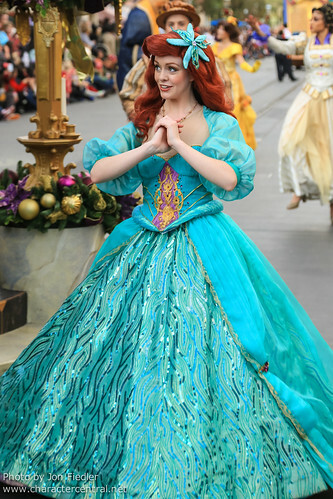 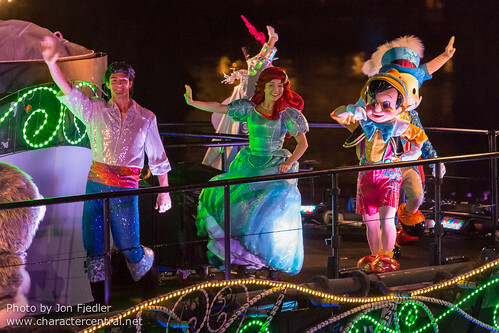 At Disneyland Paris Ariel can sometimes be found at the Princess Pavilion, and at Auberge de Cendrillon in Fantasyland. 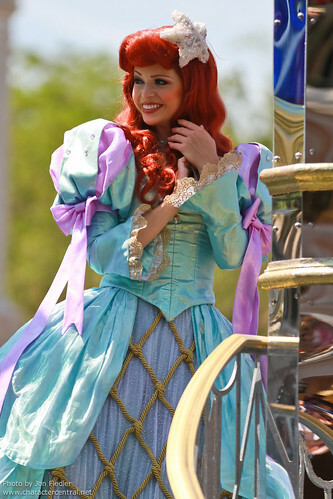 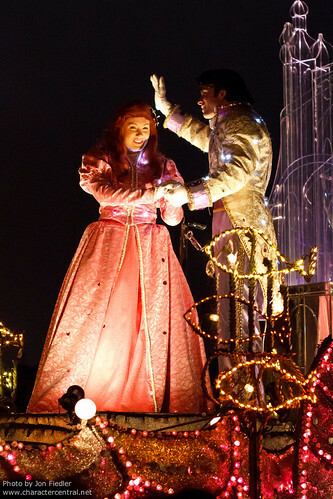 She also comes out frequently in the afternoons at the Studios. 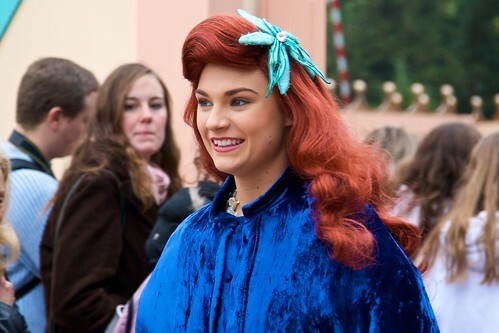 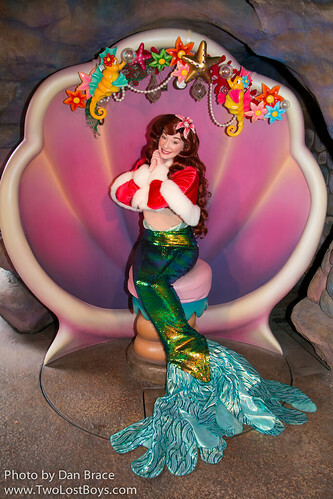 In Tokyo Ariel can be found in DisneySea at her grotto in Mermaid Lagoon. 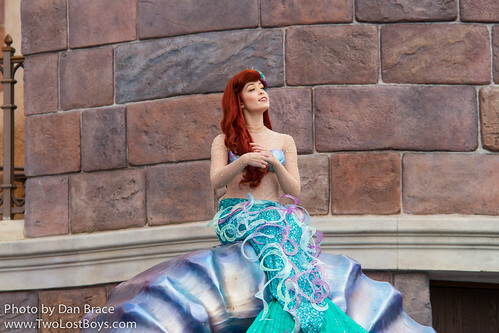 Ariel does not normally appear in Hong Kong Disneyland or on the Cruise Line, but that isn't to say you won't find her at all.